Some DJ careers are built on hype. John Digweed’s career is built on substance. One of the planet’s most popular DJs, his sets never fall out of favour with clubbers the world over, as his relentless global gig schedule testifies. From ethereal, swirling cinematic soundscapes to energy-infused bass-bothering tech growlers, a new generation of clubbers are learning what we already know - that there’s nothing quite like being locked into a John Digweed set. But John Digweed is much more than a DJ. Bedrock – his record label, promotions company and production partnership with Nick Muir – is a mothership of creative ingenuity and integrity that other labels orbit around. His vision for the Bedrock record label has been realized over 12 years, as he continuously seeks out mixes and remixes from the world’s best producers. Techno mainstays like Marco Bailey, Christian Smith and John Selway sit comfortably alongside hot new talent like Guy J in the Bedrock camp. In a dance scene increasingly inhabited by inflated egos and gimmicks, John’s approach remains all drive, no drama, a heads-down crack-on attitude that has won him the respect of his peers. However, the fact remains that John Digweed has notched up a mighty list of groundbreaking achievements since he first became involved in the embryonic acid house scene as a 15-year-old lad in Hastings. From Top 40 smashes ‘Heaven Scent’ and ‘For What You Dream Of’ (with Nick Muir) to world renowned mix CDs for Renaissance, GU and Northern Exposure, it’s little surprise he was voted No.1 DJ in the World by DJmag readers in 2001. Ten years on, the excitement John Digweed generates is even more palpable today. With Nick he has scored a Hollywood film (Stark Raving Mad) and Spiderman`s animated series for Sony/MTV. toured with David Bowie and Moby, and transformed Brighton Beach into the UK’s biggest beach party (250,000 people) with Fatboy Slim. His Transitions, Bedrock and Structures albums continue to turn new fans on worldwide, Bedrock’s recent 12th birthday party at London’s O2 Brixton Academy was a road-blocked sell-out and his Transitions radio show is one of the world’s most successful dance music shows, broadcast across 45 countries to a staggering weekly audience of over 14 million. 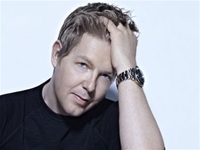 But the real beauty in John Digweed’s story lies in his unflinching belief in the music he plays. And with new music comes new chapters in an already astonishing career.